Many people find the prospect of going to the dentist intimidating. Reasons for anxiety may be varied. It may have been a long time since a last visit to the dentist. What if the examination hurts? What about injections or the prospect of long, complicated treatments? Evidence has shown that the more informed a patient is about different treatments, the less likely they are to be nervous. In order to help prepare patients we look here at six of the most common treatments you might experience during a visit to the dentist. Hopefully, by explaining these treatments and why they might be necessary, some of the worry may be dispelled. If you are concerned about a dental matter and would like to discuss it with a dentist then please contact us to make an appointment. Our friendly staff are more than happy to help. Church Road Dental Practice is a leading private dental practice, based in Redfield, Bristol. If you have any decay in your teeth then the normal treatment is to clean the area and then attempt to repair the teeth. First, the dentist needs to determine the extent of the decay. Typically, the investigation might involve cavity-detecting dye, fluorescent decay detecting aids and x-rays. Sometimes, other things can damage teeth. Teeth may be cracked or broken by something hitting them or in other ways, such as using your teeth to open things. Teeth grinding may also wear them down. Typically, in such situations your dentist will attempt to repair or fill the tooth to try to return it to a stable condition. Filling materials may vary. Historically metal fillings were very popular, but these days the most common type of filling is the composite filling. Composite is a tooth-coloured resin, which fills your tooth cavity but once set looks and feels similar to the original tooth. If you need a filling for whatever reason, you should discuss the options available with your dentist before deciding on the treatment most suitable for your mouth and your budget. A crown is a tooth restoration the places a cap over a damaged, cracked or broken tooth. The crown sits over the part of the tooth that is above the gum line. They are made from porcelain, metal or a composite of materials. The main uses of crowns are to cover a damaged tooth in order to strengthen it and improve its appearance. They can also be used to help hold a dental bridge in place. The removal of a tooth from its socket in the bone is called a tooth extraction. There are many reasons why your dentist may recommend the removal of a tooth. The most common reason for an extraction is severe tooth decay or a broken tooth. The removal of a tooth is serious and usually your dentist will try to repair the damage in other ways, such as a crown or a filling before suggesting an extraction. Sometimes, the teeth in your mouth are not very well spaced. This crowding can cause the teeth to grow in an irregular manner. Teeth can be straightened by orthodontic treatment, but occasionally for orthodontic treatment to work most effectively it is best to create a bit of space. Extracting specific teeth in this situation may be necessary. Wisdom teeth are back teeth that come through in a person’s late teens or early twenties. Sometimes these teeth do not come through properly and are stuck in the jaw. These are known as impacted wisdom teeth. In certain circumstances, it is best to extract impacted wisdom teeth. 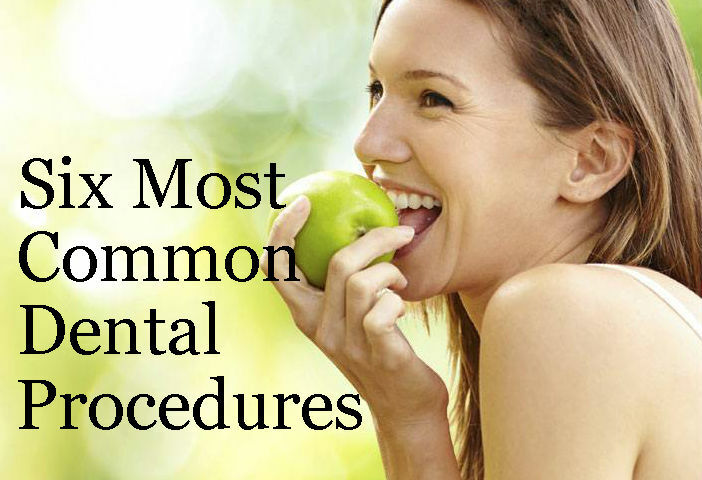 There are a variety of reasons why your dentist might suggest extracting a tooth. However, such a course of action is never suggested without good reason. You should always discuss all your treatment options with your dentist, especially when you may need an extraction. Bridges and implants are used to fill gaps because of a missing tooth or teeth. They help to keep the other teeth in your mouth from moving, should you have such a gap. A dental bridge attaches to the teeth either side of a gap and “bridges” the gap. A bridge can be fixed or removable. In simple terms, a fixed bridge is only removed by your dentist, whereas a removable bridge can be taken out at any time. A dental implant is used to replace a missing tooth. An implant is a metal post, which is surgically inserted, or “implanted” into the jaw. The post then acts as an anchor upon which to attach a replica tooth. Dental implants can also be useful in securing a bridge. Dental implants cause little bone loss and ensure that healthy teeth surrounding a gap are preserved. Many people are interested in making their teeth whiter. Teeth do tend to discolour over time. This can be caused by certain foods such as tea or coffee. Smoking cigarettes will also stain teeth. Tooth whitening is dental treatment that alters the colour of your tooth with the use of chemicals. Tooth whitening differs from the professional cleaning of your teeth by your dentist or a dental hygienist. Tooth cleaning may remove any staining very effectively, but it is unable to change the underlying colour of your teeth. Teeth whitening does try to change the actual tooth colour. If you want a whiter smile then we recommend you discuss the matter with your dentist. Tooth whitening may well be an option. These days teeth whitening is a popular treatment option so make sure you know how it could benefit you. When you have a badly damaged or diseased tooth, your dentist may recommend root canal treatment. This involves the removal of the tooth’s pulp. The pulp is thin, thread-like tissue inside the tooth. Once removed the space is cleaned, shaped and filled. Your tooth pulp contains nerves, blood vessels and lymph tissue. Should it be damaged by advanced decay or more commonly by cracking or breaking a tooth it can become infected. If the infection is not treated then it pus may build-up in the tooth creating a painful abscess. Apart from being painful, an abscess can also damage bone around the tooth. Root canal treatment is a way to save the tooth when otherwise it would have to be extracted. If you believe you may need an opinion on any of the treatments listed here then please call Church Road Dental Practice and make a no obligation appointment today.